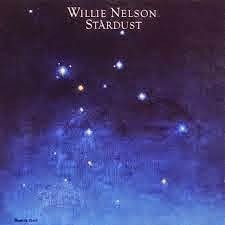 Willie Nelson's Stardust is one of my all time favorite albums. It is a wonderful collection of Great American Songbook standards married to both country and jazz ... all with Willie's inimitable voice and phrasing. My very favorite song on the album is the Duke Ellington classic, "Don't Get Around Much Anymore." I could listen to this music all day (and I might!). I love Willie Nelson! He is definitely one of my favorite country artists. I have never heard this song before, but I DO like it. Mary, I am a big Willie Nelson fan, too. He has one of my favorite singing voices.